Is calf scour impacting your herd’s profitability? With spring calving in full swing, calf scour can be a time-consuming and costly disease. Calf scour is mostly caused by viruses, bacteria or parasites which transfer easily between calves and therefore it’s vital calves have enough antibodies to fight off infection. To help them to develop adequate antibodies it is essential to provide calves with enough quality colostrum. 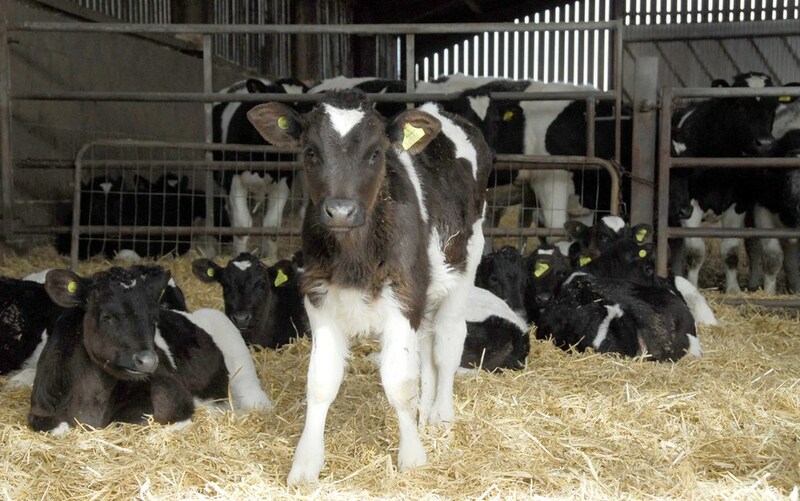 A calf should receive a first feed of four litres, or 10% birth weight, within four hours of birth and a further two litres within the first twelve hours. You can check the quality of the colostrum is at least 50mg/ml of IgG by using a colostrometer or refractometer. Good hygiene should start before a calf is born. In preparation for new arrivals it’s important that all pens are mucked out properly before being cleaned and disinfected. To prevent transfer of disease and infection between calves, it’s essential that all feeding equipment is regularly cleaned and disinfected, and any sick calves should be isolated. Even if calves recover from infection they may never perform as well as non-affected animals. Viruses like rotavirus and coronavirus and the protozoa cryptosporidium cannot be treated with antibiotics. Therefore, vaccination along with good hygiene and husbandry is the only effective way of controlling calf scour. If your herd is having issues with calf health, talk to your vet about colostrum management and using vaccination as part of your herd health plan to help prevent calf scour. Visit www.healthyyoungstock.co.uk/scours for more information on calf scour.